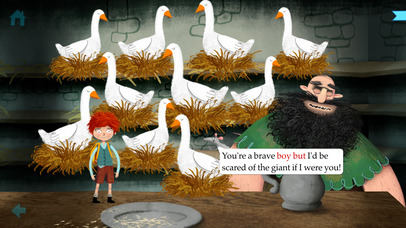 It's the classic story of Jack and the Beanstalk, but in this interactive adventure, readers play the role of Jack. Kids can read the story on their own or have the words read to them, but they have to interact on every page. 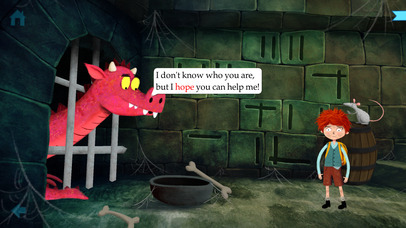 Rather than all the words appearing on the page, kids interact, tapping the characters to hear the dialogue and guide Jack through the castle, collecting different treasures. Once home, Jack and his mom live happily ever after -- with different luxuries depending on the treasures collected. 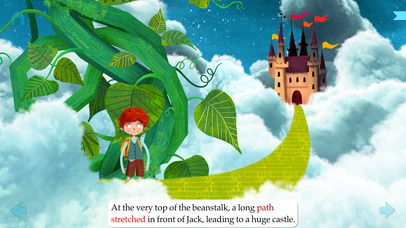 Kids can learn the story of Jack and the Beanstalk and see how dialogue enhances the story and how characters develop. They'll work on patterns, memory, colors, and counting in the different rooms they encounter. They can read along as the highlighted text is read aloud to them, or they can read it on their own without narration, improving their reading skills. The engaging, interactive story will get kids excited about reading for enjoyment, and they'll develop problem-solving skills as well. 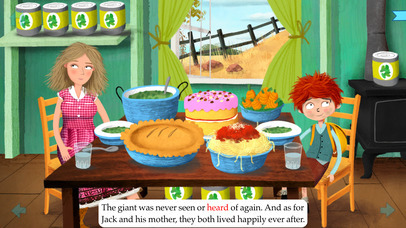 Jack and the Beanstalk by Nosy Crow is rich with engaging learning opportunities. 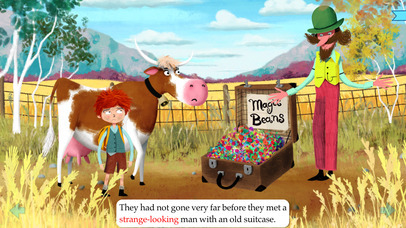 Our Jack and the Beanstalk app blurs the distinction between story and game more than ever before to create a completely new kind of reading experience for children: this is where on-screen gaming and reading meet. Jack and the Beanstalk rewards success with more story, and encourages repeat play with endless variety. Play games in different rooms of the giant’s castle and collect keys to unlock more of the story - and capture the giant's treasure without waking him up to carry on playing!